Do you remember when Leasider Shawn O’Sullivan won the gold medal at the World Amateur Boxing Championships in 1981 and again in 1983? At the time he was the toast of the town and the Borough of East York. Shawn grew up on Donlea Drive along with his twin sister Maureen and his younger brother Kevin. Shawn jokes that he is the eldest because he was born a few minutes before Maureen. He first learned to box under the guidance and instruction of his father Michael O’Sullivan who was a TTC bus driver. As an amateur boxer, Shawn rang up 94 victories while losing only six times, a record matched by very few, if any, other Canadian boxers. At the age of 16 he won the Canadian Junior title in Whitehorse, Yukon. Then in 1981, as a 19 year old, he defeated the Cuban Olympic gold medalist, Armando Martinez, twice on his way to winning the gold medal as a light middleweight in the World Amateur Boxing Championships. That year he was named Canada’s Athlete of the Year. In 1984 at the Los Angeles Olympics, after totally dominating his earlier opponents, he fought an American, Frank Tate, for the gold medal. During the second round of the championship match, Shawn took Tate to two standing eight counts and nearly a third as the round ended. But the judges awarded the match and thus the gold medal to Frank Tate. When the gold medal was draped around Tate’s neck, the crowd booed. Later, even Tate’s coach admitted Shawn may have won. After winning the Olympic silver medal, Shawn turned professional. He won his first 11 bouts as a welterweight. When he finally retired from boxing he had recorded 23 wins, 16 of them by knockouts. In 2015, Leaside’s pride, Shawn O’Sullivan, was inducted into the Ontario Sports Hall of Fame. 1981 World Amateur Champion – This fight was hailed as possibly THE BEST BOXING FIGHT EVER. SHAWN O’SULLIVAN-CAN VS ARMANDO MARTINEZ-CUB. 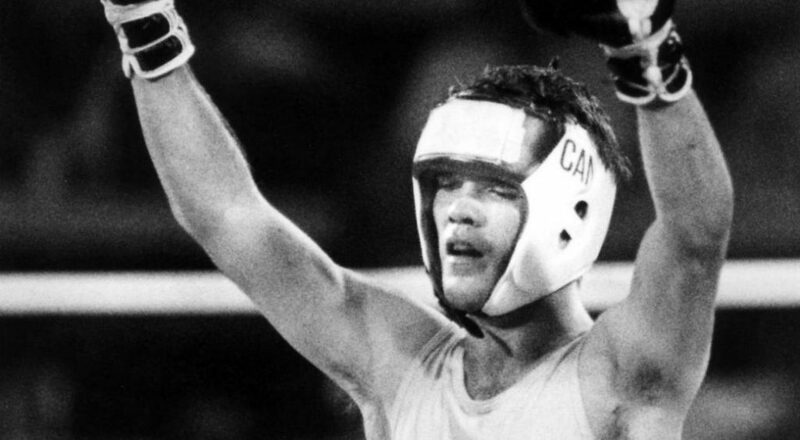 Leading up the 1984 Olympics, O’Sullivan and fellow Canadian Willie de Wit were both favoured to win the gold medals in their classes: de Wit as a heavyweight and O’Sullivan as a light middleweight. In the gold medal bout with Frank Tate, O’Sullivan took Tate to two standing-eight-counts in the second round (and nearly a third as the round ended), but the judges unanimously gave the decision to Tate. O’Sullivan dominated the second round; however, four of the judges (Keith Walker of New Zealand, Han Dong Jin of South Korea, Noureddine Addala of Tunisia and Muili Ojo of Nigeria) gave Tate the round by the slim margin of 20-19. Tate was booed when the gold medal was draped around his neck. Tate had won in a 5-0 decision and even his coach, Emanuel Steward, admitted O’Sullivan may have won. O’Sullivan, who himself had benefited from a controversial decision against Christophe Tiozzo in the semifinals, was gracious in defeat and called the outcome “unfortunate”.